Your attitude determines your ACTIONS and your actions determine your ACCOMPLISHMENTS. Champions choose the right attitude! Champions Choose the Right Attitude Rise to New Heights & Win video message is a series of powerfully pact words that must be mastered as a disciple of Jesus Christ. If you want to be transformed into God’s image and most importantly, you want to find and stay on the path of righteousness in order to fulfill your destiny, this Powerful video message is exactly what you need to know to achieve the results that will change your life forever! You are enough. Now it’s time to believe it. Discover how to turn your life from a constant state of struggle and loneliness into a state of self-approval and self-acceptance. It’s all about daily choosing the right attitude. Do you believe all the negative voices in your head? Do you have feelings of frustration and get stressed easily? Do you feel jealous of happy people and feel small around them? Do you feel like a failure even though you are doing your best? Do you constantly battle negativity and deal with insecurities? You are important. You are capable. You are smart. And you are worthy of love and happiness. 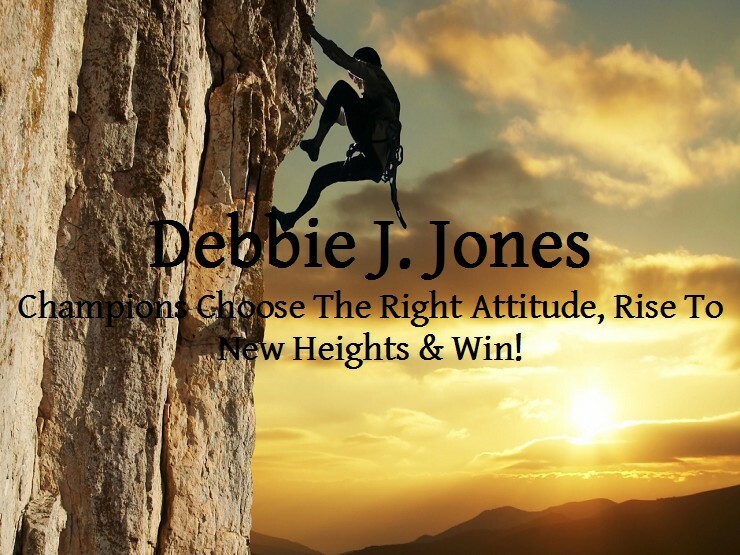 Get Champions Choose the Right Attitude, Rise to New Heights & Win video message today. Daily spend 15 – 30 minutes listening to this series and watch your life transform. This powerful pact series of words will become your new spoken thoughts. ​Be willing to venture outside of your comfort zone. Learn the secret and quiet power of hard work. Daily maintain a high level of being as it relates to your thoughts, attitude, and skills. When Believers embrace all of these points in becoming a Champion, You will be enabled to take up your cross daily, ultimately coming into fulfillment of God’s divine assignment upon your life. It is a necessity for Christians to put away their fears, and face the challenges everyday of denying yourself and following Jesus Christ through the leadership of the Holy Spirit. Because life is 10% how you make it and 90 % how you take it. Champions Choose The Right Attitude Rise To New Heights & Win! Please remember this digital video message series is a valuable treasure. Grab these golden nuggets of wisdom now! I’m sharing this valuable fortune of wisdom birth in my life through an experience following the leadership of the Holy Spirit. It Works! It’s been Tried, Tested & Proven! Buy now, to lift happiness barriers from your mind and retrain your brain to work for you and not against you. Buy Now, to directly affect your reality. You are not going to have a happy life with a negative mind. As you daily listen to life changing video messages of Words, this series will enable you to actually clear the head clutter and shift those negative patterns to positive empowering positive patterns. Champions choose the Right Attitude, rise to new heights & win, today!